"Step out of the familiar and explore beautiful destinations that will capture your heart and soul on your next Driftwood Adventure trek. If you like exploring beautiful nature, new cultures, meeting new people, trying new foods, working side-by-side on service projects and creating life-long friendships along the way, you will have the most amazing time on one of our trips. Those who like photography will enjoy photo instruction and guidance to your best work yet... Discover the best treks of the Himalayas and check back often to see our new hand-picked world destinations!" 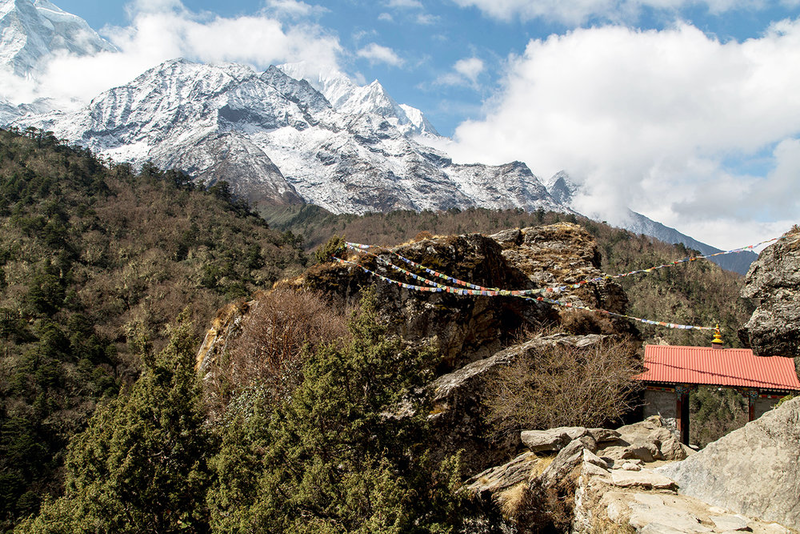 The Everest Base Camp trek goes up the Khumbu Valley, passing through intriguing Sherpa villages and Tibetan monasteries, all towered over by some of highest and most stunningly beautiful mountains. The Annapurna Base Camp trek goes alongside terraced rice paddies, lush rhododendron forests and high altitude landscapes with the Annapurna Range in view most of the times. The sparkling, pristine blue and green waters of the Gokyo Lakes are one of Nepal’s most memorable sights. They comprise the highest freshwater lake system in the world, at around 5,000 meters. 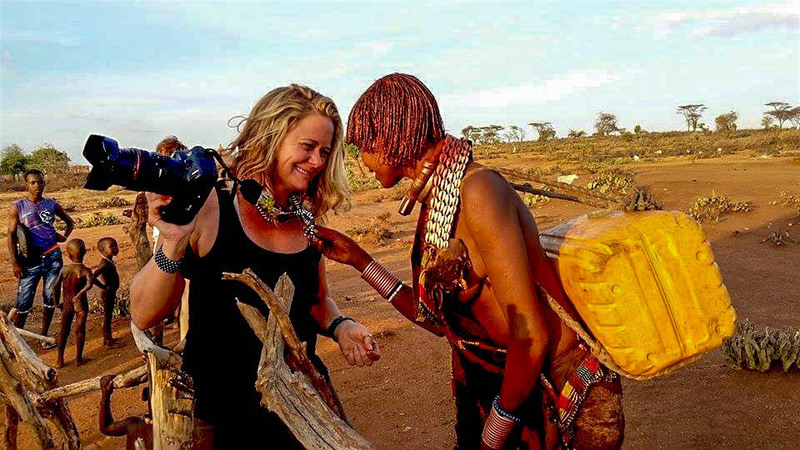 This is a unique trekking experience blending Northern Ethiopia with photographing the Omo Valley. Photographic opportunities range from documenting the daily life of the tribes, portraiture, and landscapes. Private treks can be arranged any time. Customized itineraries are available for families, couples, charity groups or a small private group. We can arrange treks in the Annapurna and Everest Regions, the Mustang Region, the Langtang Region, remote areas such as the The Kanchenjunga Region and Rara National Park. We volunteer options in many of these regions available. These trips can be in Nepal, Latin America, Ethiopia , Vietnam and more. Gather your friends, sisters, mothers and daughters for soulful times in the mountains. 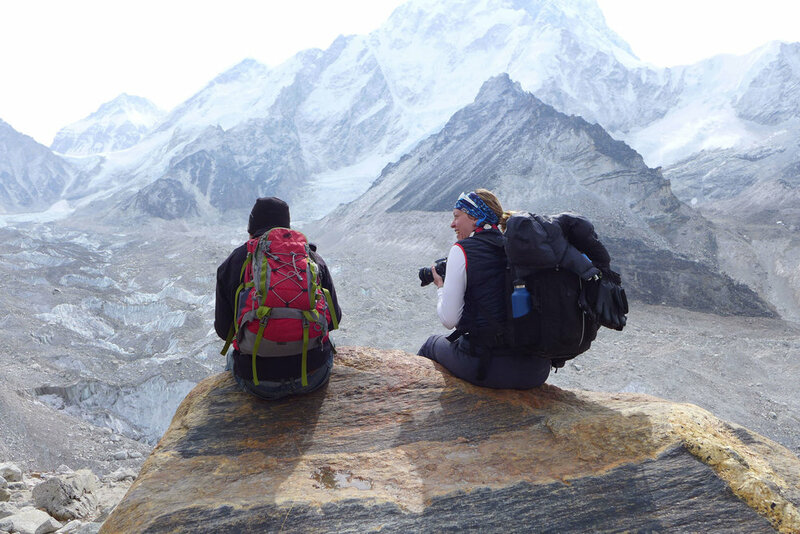 Reconnect with special ladies and make new friends on our ‘girls only’ treks led by Bri and other female guides. We travel like locals with the locals. Our experienced Sherpas open their hearts to us, we stay at their homes and tea houses, we learn how to cook local recipes, we visit their kids’ schools, surprise them with much needed supplies and gifts, as well as help out with the local service projects at schools and villages. Driftwood Adventure Treks believes in giving back. Last trip we were able to donate solar lanterns to Sherpas, families and schools. This photo was taken at Base Camp 4. Neg 25 degrees. 8000m. Our expeditions offer a unique opportunity to improve your travel photography skills. You will not be leaving Nepal without the impressive photo memories of landscapes, majestic mountains and portraits of friendly locals. You do not have to be a photographer to travel with us. Photo instruction is optional. From doing important stretches for basic body conditioning to more advanced yoga sessions, certified yoga instructors who are also your group leaders will include yoga in our daily activities. 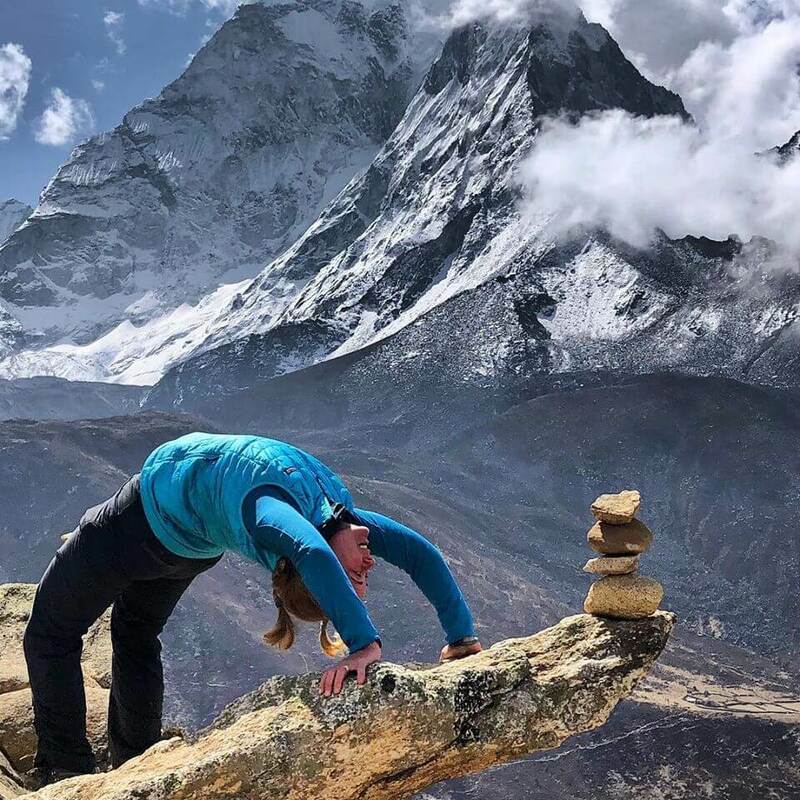 Not only it helps your body to move and recoup better, but doing yoga surrounded by the Himalayas is a truly unique and magical experience. Expect spiritual discoveries, aha moments and increased creative flow in addition to stronger body. Our small group expeditions accommodate hikers of any level and any age with good mobility. We travel in smaller groups with multiple guides and have the ability to offer personalized attention and support to make sure everyone is comfortable. I will help you select the best trek for your interest, fitness level and objectives and can customize the treks for you. Have questions? Subscribe below and you will receive FAQ. After that contact me for more information. Namaste.